Matchbox Twenty, originally Matchbox 20 and typeset as matchbox twenty on most official merchandise, is a rock band formed in Orlando, Florida, who have sold in excess of 39 million albums worldwide. The band have been well received in many countries. The current members of the band are Rob Thomas (vocals, piano), Paul Doucette (drums, now guitar), Kyle Cook (lead guitar, vocals) and Brian Yale (bass). Adam Gaynor (rhythm guitar), who has left the band, performed on all three of their albums, as well. Rob Thomas is the principal songwriter and lead singer. The current members of the band are Rob Thomas (vocals, piano), Paul Doucette (drums, now guitar), Kyle Cook (lead guitar, vocals) and Brian Yale (bass). Adam Gaynor (rhythm guitar), who has left the band, performed on all three of their albums, as well. Rob Thomas is the principal songwriter and lead singer. Thomas, Yale and Doucette performed in the band Tabitha's Secret out of Orlando, Florida before splitting apart to form Matchbox Twenty with Cook and Gaynor. Matchbox Twenty released their first album, Yourself or Someone Like You in 1996. While their first single, "Long Day", was a rock radio-only smash, the album soon spun off several Top 40 hit singles throughout 1997 and 1998, including "Push", "3 A.M.", "Real World" and "Back 2 Good". The album eventually went on to sell over 12 million copies in the U.S. alone, earning diamond status. The band toured relentlessly for several years, performing the songs from their one and only album, along with some beloved cover songs such as Cyndi Lauper's "Time After Time" and The Beatles' "Don't Let Me Down". Their fan base grew from concert to concert because of their electrifying live performances and the longevity of their hit singles on radio. The same year, Matchbox Twenty recorded a live version of their Top-40 hit "3 A.M." for release on the charity album Live in the X Lounge, benefiting cerebral palsy research. Before recording their second album, Rob Thomas collaborated with Itaal Shur on a song entitled "Smooth" for Carlos Santana's comeback album, Supernatural. The song had a pop-tinged Latin beat and showcased Thomas' lyrical talents. Thomas was supposed to act solely as songwriter on "Smooth", but Carlos Santana had him sing on it as well after hearing the song's demo recording. "Smooth", was the album's lead single and became a gigantic hit in 1999; Thomas earned three Grammys for writing and performing on "Smooth", including Record of the Year and Song of the Year. In 2000, Matchbox 20 renamed themselves Matchbox Twenty and released their second album, Mad Season. The album featured lush instrumental arrangements and spun off several hit singles, including "Bent" (Number One on Hot 100) and "If You're Gone". The video for "Bent", poked fun of singer Thomas' heightened profile from "Smooth" by showing the other band members assaulting him mercilessly. The evocatively arranged ballad "If You're Gone" became a big hit, especially on adult contemporary formats. The band's next two singles, "Mad Season" and "Last Beautiful Girl" were not particularly successful. Fans also note hearing "Black & White People" receive radio play, despite not being released as a single. For their third album, More Than You Think You Are, the band returned to a harder rock sound. Thomas shared the songwriting efforts with the other band members on several songs. The album spun off hit singles "Disease", "Unwell", and "Bright Lights". In May 2004, the band released a live concert DVD, Show: A Night in the Life of Matchbox Twenty, filmed in Atlanta and featuring 20 songs, including all of their hit singles. In February 2005, rhythm guitarist Gaynor officially left the group, which had been on hiatus to allow other members to pursue side projects. Rob Thomas went on to release a solo album entitled ...Something to Be which became the U.S. Billboard 200 #1 album the first week of its release. The album featured four hit singles: "Lonely No More", "This Is How a Heart Breaks", "Ever The Same" and "Streetcorner Symphony". In January 2007, Rob Thomas released a single entitled "Little Wonders" which he wrote for the Disney movie Meet the Robinsons. 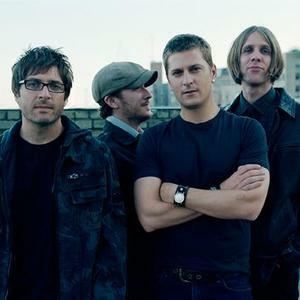 On April 20, 2007, the Daily Intelligencer reported that Matchbox Twenty will start working on their next album on April 23, 2007, in an article about Rob Thomas' documentary, My Secret Record. Their "Exile On Mainstream" album was released on October 2, 2007 and is a two disc set. The first disc features 6 new songs, including the hit "How Far We've Come", which can be heard on the website, along with the music video. The second disc contains 11 of their greatest hits, such as "Push", "Bent" and "Unwell". The She's So Mean Songfacts reports that Matchbox Twenty's fourth studio album North is the first record of new material that the band has released for ten years, although they did record seven new songs for their 2007 compilation album Exile On Mainstream. The album is scheduled to be released on September 4, 2012.